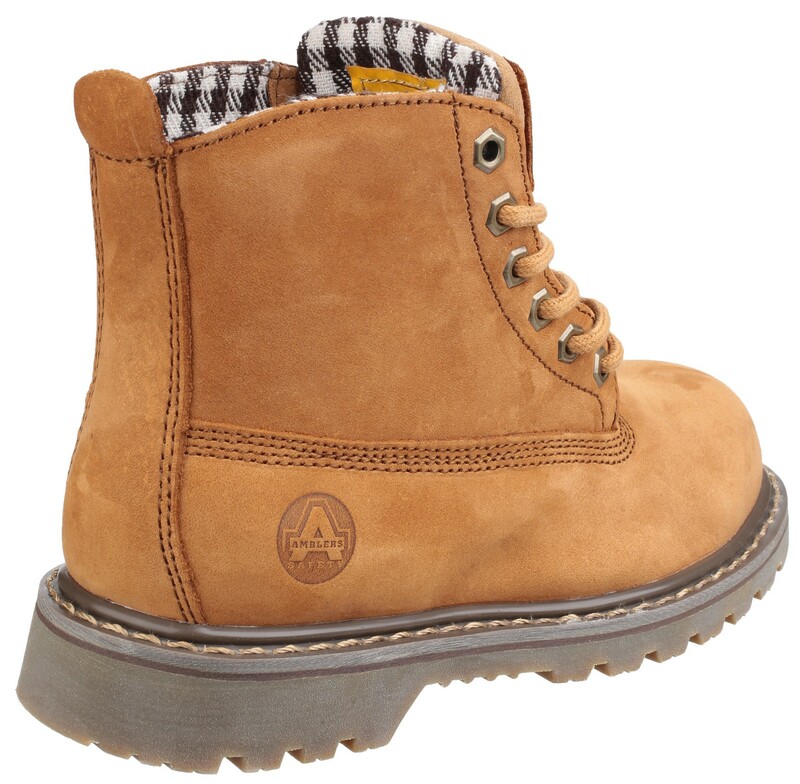 Designed for women, Amblers Safety FS103 is a lace up Goodyear welted safety boot ideal for a range of industrial applications. 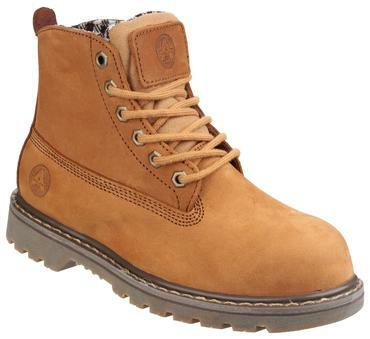 Crafted with a heavy duty soft tan full grain nubuck leather upper. Donned with six industrial strength hexagonal metal eyelets and a full ankle high lace up front. The inner is lined with a tartan comfort lining, with padded tongue and removable footbed support. Complete with a 200J protective impact and compression resistant steel toe cap. 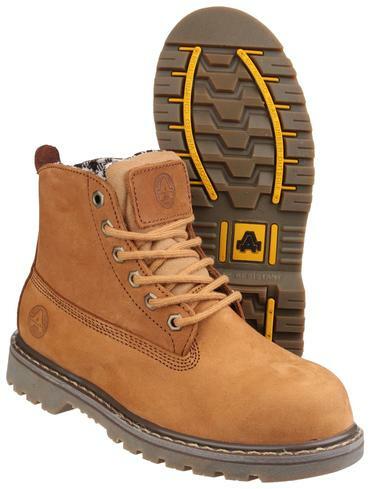 Underfoot penetration protection is provided via a steel midsole.